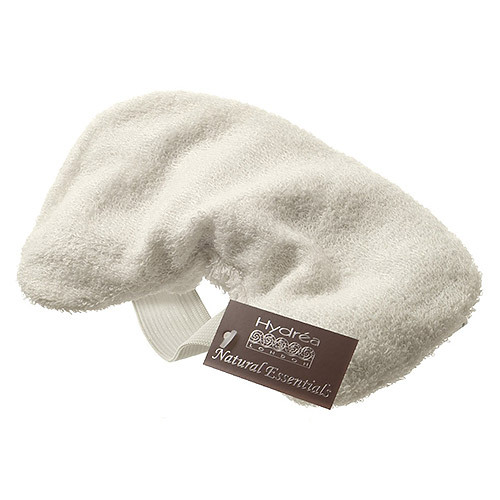 Hydrea London Sponge Bamboo Eye Pillow. This soft and relaxing eye pillow is padded with rice and lavender to help relax your muscles whilst clearing your mind. Heat the pillow and place over the eyes to soothe tense facial muscles or pop in to the fridge and place over eyes to reduce swollen, tired eyes. For a hot compress, microwave on low heat for 1 minute. For a cold compress place in the fridge or freezer until you reach the desired temperature. Place over eyes securing with the strap at the back of the of the head. Below are reviews of Hydrea London Bamboo Relaxing Lavender Eye Pillow by bodykind customers. If you have tried this product we'd love to hear what you think so please leave a review. Hydrea London Sponge Bamboo Eye Pillow. This soft and relaxing eye pillow is padded with rice and lavender to help relax your muscles whilst clearing your mind.